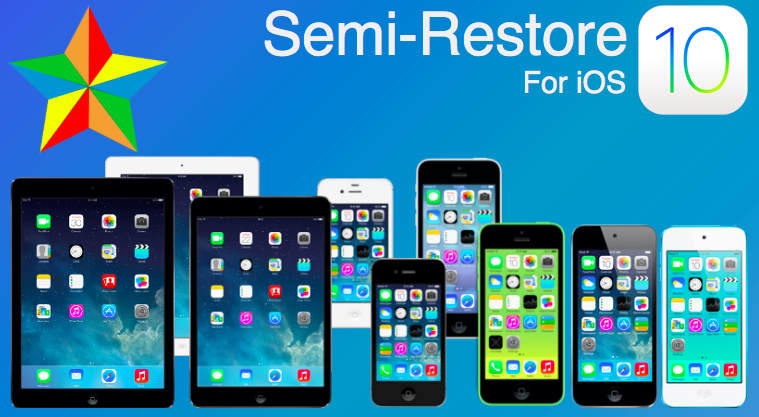 However, CoolStar, the creator of SemiRestore, has now pushed up update to his SemiRestore10-Lite package that will allow you to reset your devices jailbreak to its original state, while not having to update or restore it. This works by removing all jailbreak packages (tweaks, themes, apps etc) which are not installed by default with the jailbreak. This is useful if you have a problem with a tweak causing your device to crash, or just want a fresh start. At the moment SemiRestore10-Lite is not a Cydia package, so it needs to be run using a command line. This may seem daunting at first, but it’s actually very easy to do. Simply follow the instructions below, and you will have what feels like a fresh jailbreak! This will ONLY remove jailbreak data. No other data (such as contacts, photos, music etc) will be affected. This will remove all Cydia packages and their data from your device. Open Cydia on your jailbroken iOS 10 device and tap on the ‘Search‘ tab at the bottom. Search for ‘Filza File Manager‘, and tap on the first package that appears. Tap the ‘Install‘ button in the top right, followed by the ‘Continue Queuing‘ button at the top. Go back to the search menu and search for ‘MTerminal‘, and tap on the first package that appears. Tap the ‘Install‘ button in the top right, followed by the ‘Confirm‘ button in the top right. This will install both of the applications. Once the applications have finished installing, go back to the springboard and make sure they are there. Open this page in Safari on your device, and tap on the SemiRestore10-Lite download link above to download it. Once it loads, tap the Open in “Filza” button to download it. Open the MTerminal application on your home screen. In the command line, and type the command below. suIt should then ask you to enter a password. For the password, simply type ‘alpine‘ (without the ‘). Tap the ‘return’ key to enter it. This should only take a few seconds to complete. Once your device resprings, you should have a fresh jailbreak!